For analytical weather data reports click weather conditions. Data are collected with a Davis Weather Monitor II. We try to update data as soon as possible. The SV8RX ham station has been established in 1981. He was very active all these years after, working all bands and modes. He took the all band DXCC # 14360, with a sum of 320 countries, and CQ WAZ #2920 awards. The station is located in Lat: 20.53 and Long: 37.46 or QRA locator KM07KS. 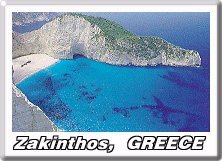 It is actually located in a small island in Greece, called Zakynthos, located in Ionian sea 300Km west of Athens. 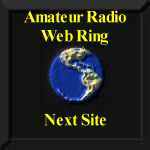 Since the end of 2000 it is also active as an WX APRS station. George Antonopoulos is a 52-year old man. He is a physicist, Ph.D. He is working as researcher in earthquake prediction. He is a member of scientific VAN-group, dealing with earthquake prediction. Except ham radio he is very fond of computers. He is the Principal Teacher of 1st Gymnasium of Zante, since 1997.